Meet the 2017 Spirit of Ukraine Pavilion. Colours, and movements, and live music, oh my! Ukrainian traditions come to life in this high-energy pavilion. The Spirit of Ukraine Pavilion has a board called Loaves & Lives and discusses how loaves of bread play a significant role in the Ukrainian household. They are not only in the centre of cultural celebrations, they are also a staple in the diet. I also learned that the famous floral headpieces that is a part of the costumes worn by dancers marks that she is unmarried. Local restaurant Perogy Planet is the provider of the delicious food at this pavilion. There are plenty of food options here including a vegetarian combo platter. The popular choice is the very filling meal of varenyky, holubtsi, and kolbassa. Also try the borshcht! 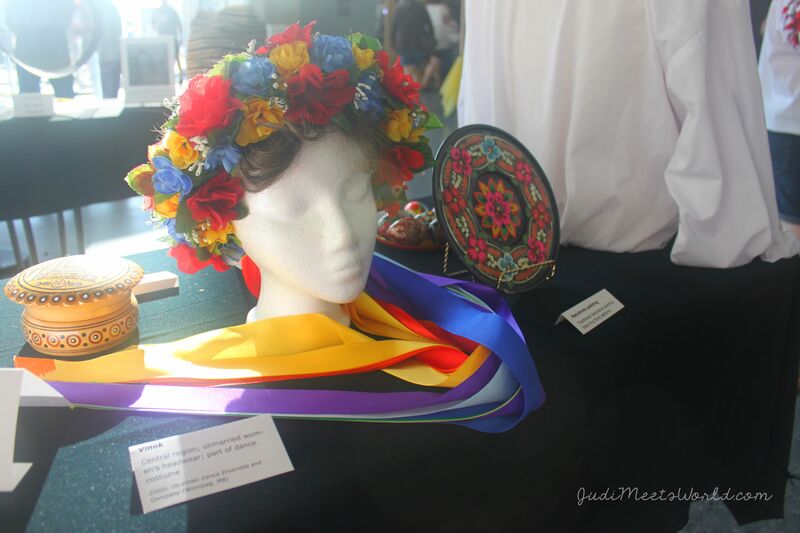 The performers of this pavilion comes from the Zoloto Ukrainian Dance Ensemble and Company. The evening begins with an offering of a loaf to formally start the program. The first number already showcases the dancers’ energy and you get to see the different regions represented by the different costumes of the group on stage. The dancers are also joined by singer Theresa Sokyrka from Canadian Idol. It’s always endearing to see youngsters on stage upholding the tradition of dance. You can really see them starting to learn the basics that they will need to dance as adults. This pavilion also had a live band playing music for them throughout their set. There is a slushy at the bar that actually comes in the colours of the flag! You can get this with your choice of liquor (I heard the vodka was a good choice), and enjoy your yellow and blue concoction. 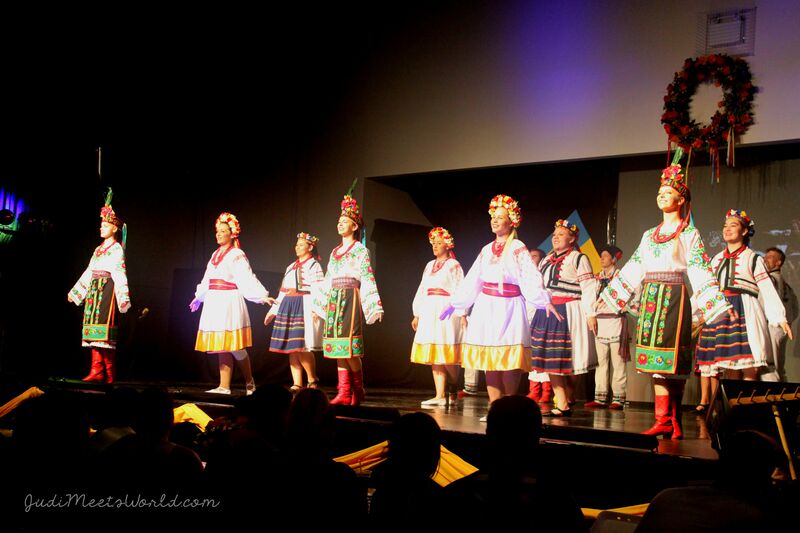 Congratulations to the Spirit of Ukraine Pavilion for another successful run at Folklorama! Meet the 2017 Celtic Ireland Pavilion.